-- NON-TOWABLE BATTERY OPERATED MAX. WT. CAP: 350LBS. -- FOOTPRINT: 50"W X 64"L W/OUTRIGGERS MACHINE WT: 817 LBS. 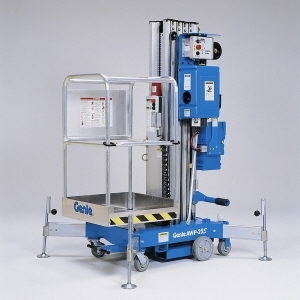 * Please call us for any questions on our lift personnel 25 foot rentals in Santa Barbara CA.